SIM cards have become a ubiquitous piece of technology in a world increasingly filled with mobile devices. These Subscriber Identity Modules serve as the middleman between mobile devices and cellular towers, allowing them to communicate. Carriers use SIM cards to identify which devices are active on their network and tie those devices to their subscribed data plans. However, as the use of SIM cards has expanded to include connected devices beyond cell phones, the way these tiny plastic chips are activated has been slow to catch up. We launched our new Extrovert line of 4G LTE connected systems in part as a way for our clients to avoid some of the more fringe activation methods that have grown out of the increased need for mobile network connectivity. Over the last few years we’ve heard stories of users being banned from carrier networks due to active SIM use in non-certified equipment. Some third party vendors, and even major hardware providers, have at times gone as far as to recommend that users activate their SIM cards in their cell phones and then transfer the active card into their end device, like an IPC in an automotive application. Unfortunately, all it takes is for the carrier to audit the devices connected to their network to discover that an unapproved PC or other system is in use. Network access can then be revoked and the user can be subject to fines from both the carrier and PTCRB governing body. Before you can connect any device to the 4G LTE network, it needs to be activated. 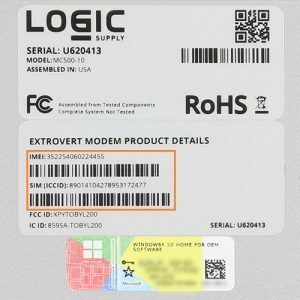 In the case of our new Extrovert line of products, once you’ve received your computers, activating your 4G LTE SIM card requires contacting AT&T to let them know that you’d like to enable service. Each 4G system we ship has a unique, 15-digit IMEI number which lets the carrier know what system will be attached to its network. 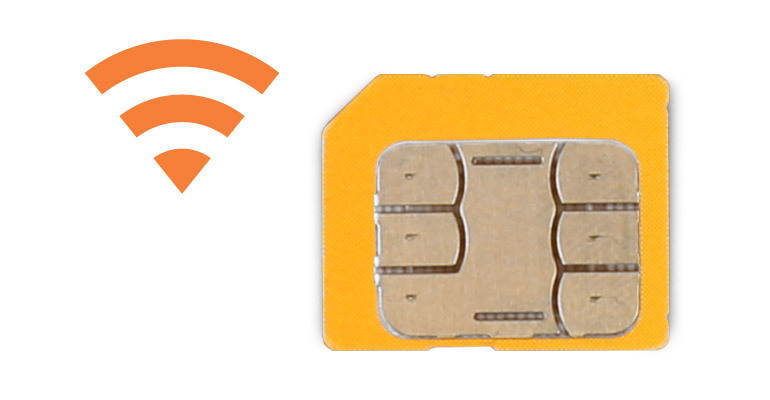 Each SIM card also has its own identifying number, it’s ICCID (Integrated Circuit Card Identifier). 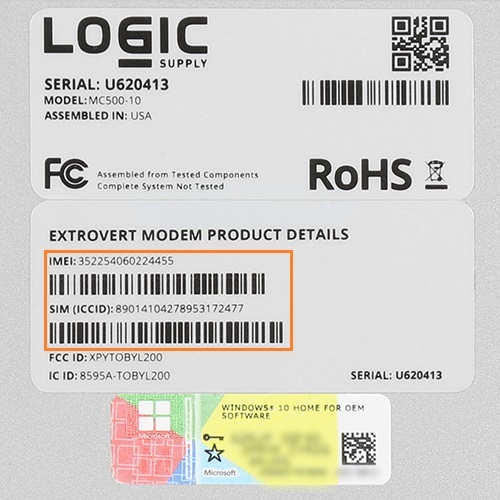 If you’ve ordered an Extrovert system that includes a pre-installed SIM card, both numbers will be included on the sticker affixed to the bottom of your new PC. If you are using your own SIM card you’ll need to locate the ICCID or CSN (Chip Serial Number) of your SIM card before contacting AT&T to activate. In order to activate your device you’ll first need an AT&T account. If you do not have an AT&T account simply contact AT&T to create one. If you have an existing AT&T account activation is as simple as adding your new PC and SIM card to your account. Because your PC does not have a cellular phone number attached to it, the easiest way to activate your SIM is to contact AT&T Business Mobility Solutions at 800-331-0500 and speak to an associate. You’ll simply need to provide them with your AT&T account information (your account/foundation number), the device IMEI number and SIM ICCID. In many instances you can also activate your device online by visiting AT&T’s activation portal. Should you have additional questions about service activation, visit AT&T’s Business Mobility Support website. 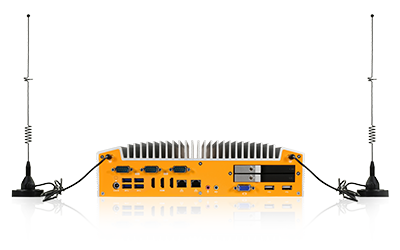 It’s important to keep in mind that the data needs of embedded IoT systems can be very different from the average cellular device. You’ll want to have a clear idea of how much data your systems use to make sure your service plan offers adequate access. AT&T for their part recently launched a number of data plans specifically tailored to the needs of IoT users that package data tiers with SIM cards. Depending on your situation these type of IoT plans may be a great option, but you should be sure to have a full understanding of just how much data you’ll need to avoid any overage fees.